Back on the market for an exceptional price! Family-sized 4 bed, 3 bath home has bonus room on 1st floor for entertaining, guest room, or game room. Two enclosed porches, one on each floor, allow for space to relax during 3 seasons with abundance of natural light. Large kitchen provides opportunity to add an island and dining area. Master bedroom has his-and-her closets. Storage throughout, including sunroom and storage room in the rear of the house. Two half baths on 1st floor, one with toilet/sink and one with shower/sink Spacious basement includes freezer for storing meat and veggie overflow. Fenced-in tennis court in backyard is the perfect environment to unwind at the end of a long day, and allows kids and pets to get their energy out. Compost container and grape vines sit to the side of the house. Gorgeous landscaping with perennial flowers. Stone throw from shops on Main Street, including restaurants, hair salons, library, and massage therapy. Couldn't be a more prime spot to live comfortably, no driving necessary! Quiet, friendly neighborhood. Some recent renovations have been made, some cosmetics still needed to shine like new. One hour calm drive to Burlington. Half hr to St. Albans. Finished Total: 2,100 Sq. Ft. Finished Above Grnd: 2,100 Sq. Ft.
115 School Street, Enosburg, 05450 (MLS# 4654828) is a Single Family property with 4 bedrooms, 1 full bathroom and 2 partial bathrooms. 115 School Street is currently listed for $114,500 and was received on August 21, 2017. Want to learn more about 115 School Street? 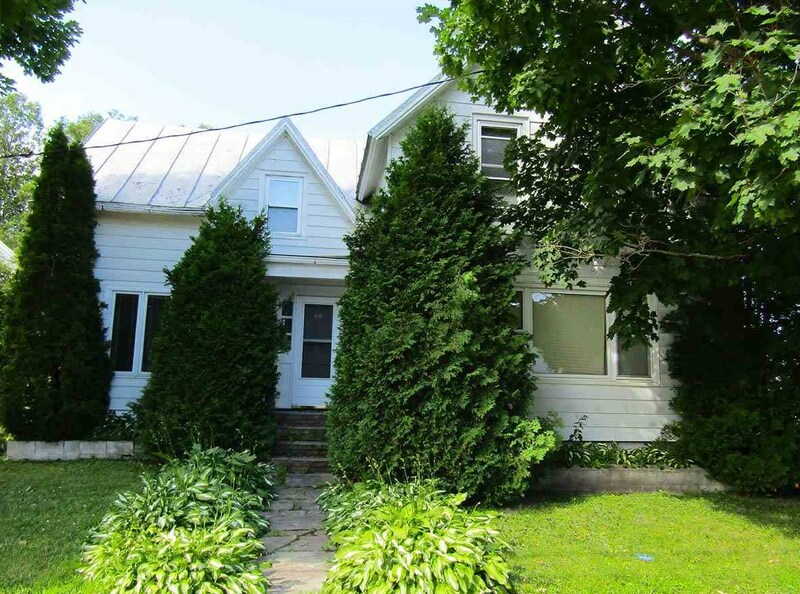 Do you have questions about finding other Single Family real estate for sale in Enosburg? You can browse all Enosburg real estate or contact a Coldwell Banker agent to request more information.